Barely out of law school, Boston College alumna, Stephanie Parker, (BA English, 2010) found herself on the front lines of one of the more important cases before the Massachusetts Supreme Judicial Court (SJC) in energy and environmental law. In Kain & Others vs. Massachusetts Department of Environmental Protection, the SJC decided whether the Massachusetts Department of Environmental Protection (DEP) had satisfied its mandate under Mass. General Laws, Chapter 21N, Section 3(d) to promulgate regulations setting declining annual aggregate emission limits to Greenhouse Gases (GHG) authorized by the Massachusetts Global Warming Solutions Act of 2008 (GWSA). The statute required that DEP issue its regulations by January 1, 2012 to go into effect exactly one year later. How did a new attorney put herself in a position to be involved in a landmark case? Through a combination of smart choices and fortuitous circumstances, Stephanie Parker prepared so that when the opportunity arose, she was in the right place at the right time. An English major in the [Morrissey] College of Arts & Sciences, Parker took on Environmental Studies as her minor. An Environmental Law class that she took as an upperclassman really resonated with her. Taught by two students from Harvard Law School, she said something just clicked for her and she loved the course. In part, due to her instructors’ fervor and enthusiasm for environmental law, Parker applied to Northeastern University School of Law (NUSL) where she thought she could take advantage of its Co-op Program. Parker was admitted to NUSL and began law school the following September. For her first co-op internship, she was selected for a legal intern position with the U.S. Federal District Court Judge Patti B. Saris in Boston. The job gave her a unique exposure to litigation at the federal level. She researched and drafted judicial opinions for the judge and had the opportunity to observe both civil and criminal proceedings. The following year, Parker obtained a three-month Co-op position with the Department of Justice in Washington, D.C. as a Law Clerk with the Environmental Enforcement Section in the spring of 2012, specifically assigned to the Gulf Region. As luck would have it, Parker’s arrival coincided with the federal prosecution of the British Petroleum (BP) Deepwater Horizon oil spill case when one of its oil rigs exploded in the Gulf of Mexico on April 20, 2010. Parker was able to work on the case by, among other things, reviewing deposition transcripts. The case was eventually settled with BP agreeing to pay more than $20 billion in fines and $175 million to settle a shareholder lawsuit. In her third year of law school, Parker was placed for 10 weeks with the Massachusetts Office of the Attorney General (OAG). Parker worked jointly for the Environmental Crimes Strike Force (ECSF), a division in the OAG’s Criminal Bureau, and the Criminal Appeals Division. Parker wrote the first drafts of appellate briefs for the Appeals Division and performed legal research and drafted memoranda for the ECSF. She also had the opportunity to observe criminal trials and appellate arguments at the Massachusetts Appeals Court. While with the ECSF, Parker reported directly to the Chief of the Division and attended trials at which he was lead counsel.. The Chief left the OAG in 2014 to continue public advocacy but in the private sector. 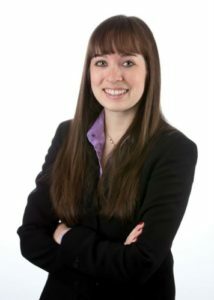 Parker graduated from NUSL in 2013, taking the bar exam that summer and being admitted to practice in Massachusetts later that year. Later, she was admitted to the federal bar in the US District Court for Massachusetts. Two years into her job with O’Connor, Carnathan & Mack LLC in Burlington, a suburban city north of Boston, Parker was contacted by her former supervisor at the ECSF. He contacted her to probe her interest in assisting several environmental advocacy groups with drafting and filing an amicus brief in support of the Plaintiff-Appellants, the Conservation Law Foundation (CLF) and others, for an upcoming environmental case to be argued on appeal before the Massachusetts Appeals Court (Kain & Others vs. Department of Environmental Protection). Ms. Parker then reached out to these environmental groups and agreed to represent them pro bono and prepare their amicus brief for appellate review. After agreeing to take on the amicus brief project, Parker worked in conjunction with the amicus groups to spread the word about the brief, which resulted in 27 groups signing onto the final brief. These groups included Clean Water Action, the Environmental League of Massachusetts, and the Massachusetts Sierra Club. During preparation of the brief, Parker had numerous teleconferences and email communications with various of the 27 amicus groups joined on the brief and a single meeting in person with a representative of one of them. Parker was the sole attorney at O’Connor, Carnathan & Mack who worked on the amicus brief project. Shortly thereafter, no doubt owing to the significance of the legal issues presented, the SJC granted an application to entertain the appeal directly, in effect bypassing the Appeals Court. Aside from Kain & others, along with CLF, the original Plaintiff-Appellants, there were at least four other “friends of the court” briefs in support of the appellants, who were taking issue with the lower court decision in Kain. Parker’s brief was one of these. In essence, Parker wrote the amicus brief, in its entirety, for Clean Water Action and 26 other parties joining as co-signatories on the brief, with the active participation and editing of her fellow amicus signatories. Collectively, they underscored Kain and CLF’s position that the DEP failed to meet its statutory obligation to promulgate regulations specifically required by the GWSA, and that the measures offered by the DEP as meeting the statutory directive were woefully inadequate and not responsive to the explicit language directing the DEP to remedy GHG emissions by requiring specific annual reductions. The attorney for the Conservation Law Foundation provided the oral argument to the SJC in favor of the Plaintiff- Appellants. On May 17, 2016, the SJC reversed the lower court decision holding for the appellants. Parker’s amicus group clients were among the victorious challengers, and the Boston Globe even quoted directly from the amicus brief in its coverage of the case. Stephanie Parker created her own path to involvement in environmental litigation. Steve Venezia is the former Deputy General Counsel with the Massachusetts Department of Energy Resources. He recently retired after 20 years with the DOER, where Stephanie Parker participated as a volunteer undergraduate student intern. He serves on the Executive Committee of BCEEAN.